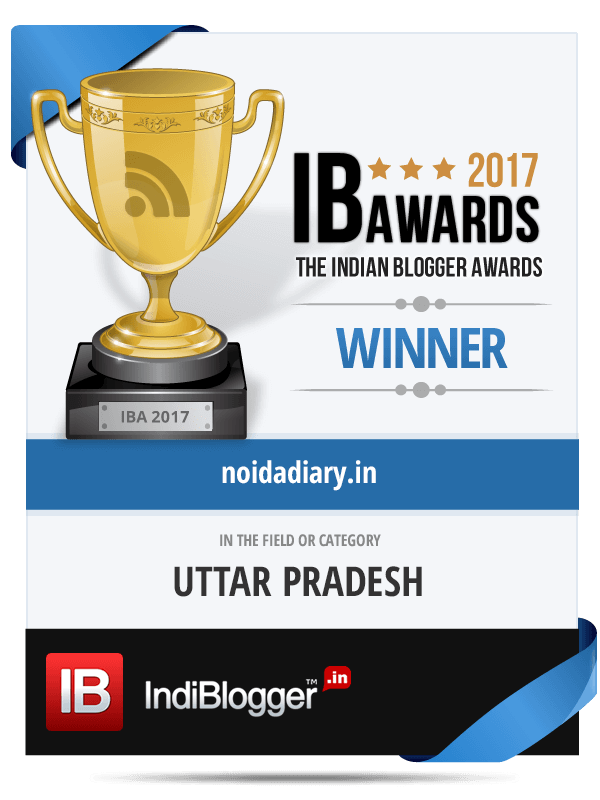 5th Global Festival of Journalism - Event Report - Noida Diary - Rediscover Noida With Us! That day Ola-Uber strike was at its peak. It took more than an hour’s wait and two cancellations to get a cab ride to the Marwah Studios….and Uber made me pay through the nose. Almost over double amount of the regular fare. Past the taxi woes I reached the venue for the 5th Global Festival of Journalism Noida in time for a session with some senior journalists, media professionals and esteemed panelists. On arrival I was greeted by the very humble and multi-talented Shri S S Dogra of Dwarka Parichay. Met a budding journalist, still in school Utkarsh Upadhyay NYS, who contributes to TOI school edition NIE (News in Education). Seeing kids these days starting this young is very heartening. Also met people from MSTV Network who were ready for some sound-bytes from us. After a brief interview and reactions to the event we joined other journalists and media professionals for the morning session. A book launch and certain important announcements were lined up for the second day of 5th Global Festival of Journalism Noida at Marwah Studios. The Studios is run by the media personality Mr Sandeep Marwah. He is the founder of Film City Noida and the AAFT school of Film and Television. The academy in association with news and media organisation ICMEI conducts regular cultural events at the international level. Global Journalism Festival, held from February 12-14, now in its fifth edition is one such event. The second day of 5th Global Festival of Journalism Noida (GFJN) had full quorum of attendees from all walks of life. However, the audience predominantly comprised of younger people perhaps students of the home academy. The stage was taken by the eminent panelists which included H.E. Ahmed, Ambassador of Maldives who was the Chief Guest for the day; District Magistrate N P Singh, Ravindra Bawa renowned international journalist from BBC, Kumar Mohan renowned film critic and editor of Bollywood And TV. Sushil Bharti of Radio Noida 107.4FM, Rahul Makin of Fever FM, Kanupriya renowned presenter and Dr. Ajay Kumar Director ASMS. H.E. Ahmed, Ambassador of Maldives to India in his opening address of 5th Global Festival of Journalism Noida 2017 at Noida Film City expressed ihis heartfelt pleasure in strengthening of cultural ties between the two countries. Debashree Banerjee’s book titled ‘Bobby Pins And Other Short Stories’ was released on the occasion. The young author has written a collection of thirteen stories that reflects various day-to-day issues that take place around us, which we often ignore. At the launch she elucidated the book contains stories which are very contemporary and topical. The stories revolve around hit-and-run accidents, floods and the emotional trauma they evoke, feral children, animals, social media addiction, ignorance in society and the betrayal of trust, all issues that we see reflected around us. The characters have been constructed such that they seem real and relatable. An exhibition of Photography by the students of Asian School of Media Studies was inaugurated by the dignitaries. News Bulletin on the activities of first day of 5th GFJN and poster to mark respect to Deen Dayal Upadhayaya was also released. Sandeep Marwah was nominated as the Chairperson of Indo Maldives Film And Cultural Forum who later presented life membership of International Journalism Center to the guest. Post this seminar I had an interactive session with the participants and attendees of 5th GFJN. People were upbeat about the wonderful event and the opportunity it provided them to learn and interact with eminent journalists and media personalities. Excerpts of the event and some reactions of participants are shared on our YouTube channel. Watch and subscribe to the channel for more updates on events similar to these and other things in Noida. Did you attend the 5th GFJN? How was your experience? Do share with us your views in comments section.